New York magazine has just come out with its list of the 100 Most Valuable Stars of 2013, and Henry comes in at #41. The question at this point is whether Cavill’s heading for a career like Christian Bale’s, mixing other blockbusters with high-profile indies, or whether he’ll suffer the same fate of the previous Superman, Brandon Routh. He hasn’t quite become a household name yet (though his Steel-y shirtless physique did inspire a lot of Tumblr drool), so a lot will be riding on Guy Ritchie’s The Man From U.N.C.L.E. We agree that U.N.C.L.E. will definitely be a test for Henry, but one that Solo will pass with flying colors. Read more on the factors that helped determine Henry's ranking, including likeability and tabloid value. To find out what the original Solo, Robert Vaughn thinks of Henry, check out this new interview. Okay so yes, the PR answer.. but we'll take it! and for the record, Supes rules the cape-wearing. And is Wonder Woman appearing In Batman vs. Superman? read what WB's Greg Silverman had to say. Everest, the Doug Liman-directed film at Sony, is now bent on starting production in March, and that meant losing Tom Hardy, who was going to play George Mallory, the famous British mountaineer who rallied a nation with his attempts to conquer Everest. Scheduling didn’t work with Hardy. The front-runner to replace Hardy right now is Benedict Cumberbatch, but other actors in the mix to play Mallory and Australian rival George Finch include Joel Kinnaman, James McAvoy, Tom Hiddleston, Henry Cavill, Luke Evans, Dan Stevens, Matthew Goode, and Jim Sturgess. 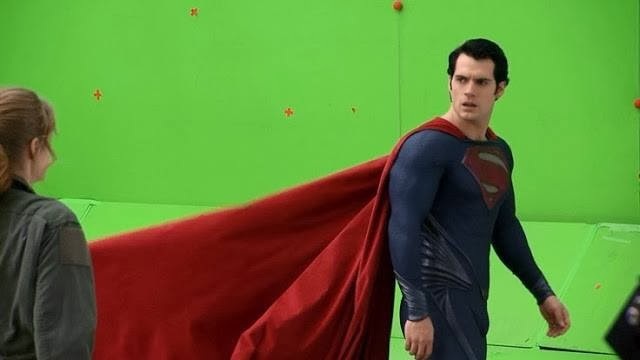 Now we know Superman can fly, but unless that March start of production changes we just don't see how Henry could be part of Everest, since he'll be busy filming Man of Steel 2 around the same time. Having said that, it would be fun to see him as a hiker (and he already has an expert aka Mark Twight by his side). Henry had over a year with no work between MOS and Man from UNCLE. 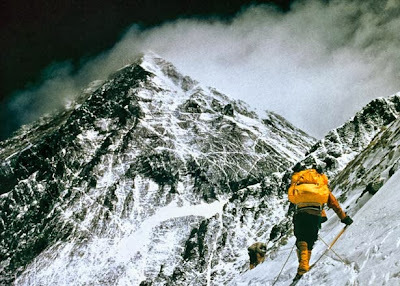 Acting skills, like muscles, atrophy without practice, exercise. I hope this will not be the case currently, but for future reference, if this sort of long gap without movie work should reoccur, Henry should consider alternative theater work or acting classes. To stay in shape ir even get better. Well, quality always triumph over quantity. I think it is better for him to take part in projects whether theatre, films or things in life he enjoy and love to do. The public will always take notice when an actor is respected, talented and admired by the public. Go, Henry!!! I totally agree re: quality. That's why I thank God he's not doing that 50 shades of Gray garbage! Still, doing no thespian work at all for such a long period of time of over a year cannot be good for his or any body's acting skills. Just as skipping gym would not be good for your muscles. That's why I believe he should stay in shape or even get in better shape by doing some sort if thespian work, on stage or with a private tutor, in between movies. I remember Johnny Depp said in an interview that he was asked by Marlon Brando about how many movies he does a year. Johnny replied three movies and Marlon said that it was too much. Marlon said that "We only have so many faces in our pockets". I agree with Mr. Marlon advice especially for actors who are seeking a longevity in their career. I agree it's better to do fewer, but quality movies than more, but so-so movies. Still, a year and a half gap between Henry's movies is too long. Even 6 months would be too long. Skills, acting or any for that matter, are lost when unused. "If you don't use it, you lose it." That's why I proposed alternative thespian work in between movies. 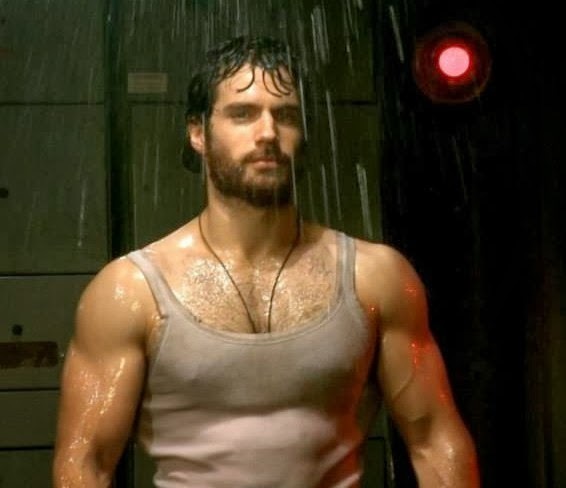 Henry was excellent in MOS and The Tudors. This cannot be said, however, about a couple of other performances in Whatever Works, Cold Light of Day for instance. All the more reason to do theater work or classes/tutoring in between movies. Daniel Craig and Hugh Jackman work on the stage in between movies and have been very successful as result of improved acting skills afforded by their theater work. 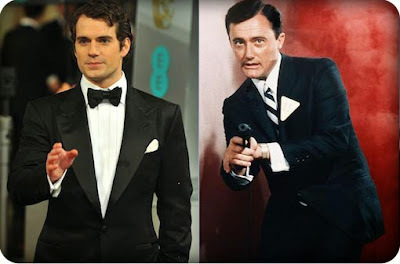 If Henry wants the same, especially if he wants to replace Craig as 007 when Craig tires of the role, Henry should seriously consider doing the same. In fact I do agree with you or rather all of you. I think it is a matter of opportunity too. It really depends what the high and mighty Hollywood have in store for him. I think he can be a bit more choosy now about the movies he will make in the future. The reason I chose Johnny Depp in the above comments is because he is one of the few actors that chose to act in his own term. He was not always in blockbuster films but his roles and characters are so diverse and unique which honed his acting ability. As for Henry, I came in late watching the Tudors. In fact I just finished the series last week. I regret not having watched this show when it was on. It was phenomenal and Henry and Jonathan Rhys Myers were just a pleasure to watch. I had hoped they would have rekindled that chemistry with Jonathan being cast as the Batman. Oh well, like they say in France, C'est la vie! I do agree with the poster who wrote that MOS and The Tudors were his memorable roles. I have watched a few of Henry's movies but I think in general, the script wasn't too great. I mean, we know Henry can act (as proven in the Tudors) but I've found most of the other characters he played were just one dimensional not because of Henry acting ability but more of the characterization of the script. Of course to be fair, It is easier to see Henry acting evolve in the Tudors simply because it is a tv series with a longer time frame. That is why I prefer tv series over films in general because of the longer time frame and a chance for characters and story to develop. Well, I agree that during his time off, he should be involved in stage work or even tv series. Having said that I have just watched the first episode of Dracula and Jonathan did not disappoint. Good luck Henry. My best regards, always.